CASA volunteers are everyday people using their voices to improve the life of a child. Image courtesy of Snohomish County. 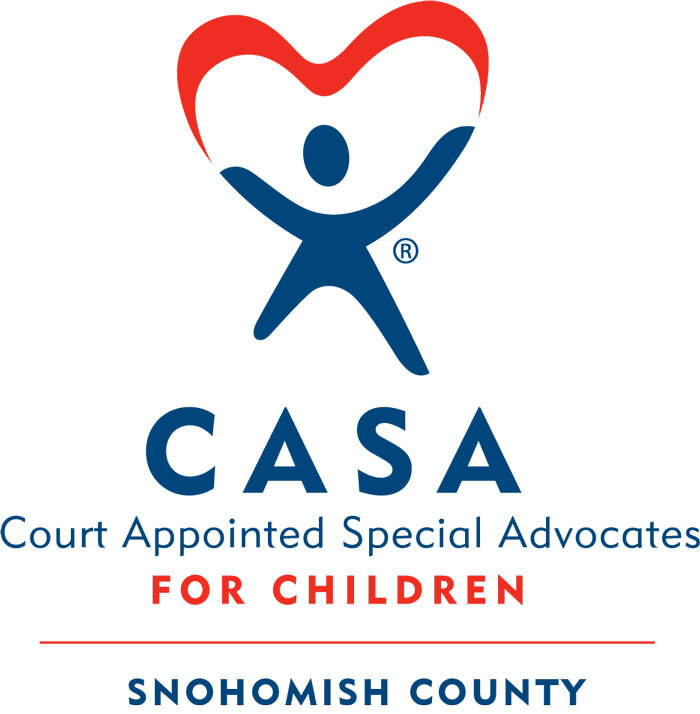 The Court Appointed Special Advocate (CASA) program of Snohomish County is seeking adults, 21 years and older, to join our team and serve as advocates for children who have been removed from their homes due to alleged abuse, neglect or abandonment. Qualified individuals from all cultures, backgrounds and ethnicities are encouraged to apply and begin the interviewing process for the next training scheduled for July 2018, with additional training options followed in August and September. When children are removed from their homes due to evidence of abuse or neglect and placed in the child welfare system, they are frequently placed away from their family and friends – forcing many of them to navigate the system without a reliable adult presence to speak up for them. Volunteers with the Snohomish County CASA program are often the one consistent adult in a child’s life, speaking up for them throughout the dependency process and making recommendations as to what is in the child’s best interest. CASA volunteers are everyday people using their voices to improve the life of a child. “Volunteers learn the skills needed to become a strong voice for a child during the 32-hour intensive training course,” explained Ida Keeley, CASA Program Manager for Snohomish County Superior Court. “The training teaches future advocates what they should expect to encounter once they are appointed to a case, how to put together a full picture of the child's situation and how to navigate the court process,” stated Keeley. One of the goals of the CASA volunteer is to help move the child out of the temporary foster care system and into a safe, permanent home as quickly as possible whether that be reunification with their biological parents or with foster parents. CASA volunteers get to know the child on a personal level and communicate with everyone involved in the child’s life. They focus on the child’s physical, educational and emotional needs in order to make well-informed recommendations to the court. At any given time throughout the year, there are over 1,400 children in Snohomish County who are in the foster care system. Currently, many children are waiting for a CASA volunteer to be by their side. For details about the role of the CASA, how to apply, and upcoming training dates, visit the website at: www.snohomishcountywa.gov/CASA. For additional information, contact by email: CSU@snoco.org or by phone: (425) 388-7854.